The junk food you mostly load your body right now eventually takes its toll come mid-30s. Staying in shape doesn’t only mean looking slim. 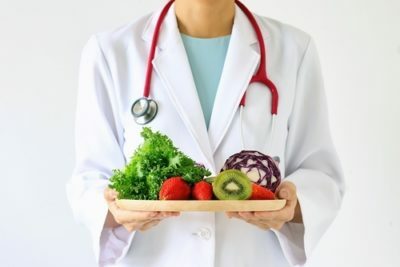 It means being healthy without the medical afflictions usually brought by negligence when one is younger and careless about their eating habits. The good news is that it’s not too late to rectify your predilection for fast food and midnight snacks – so as long as you commit to these easy food rules you can stick to in order to ensure that good health is maintained even as you get older. It is amazing to know that almost any malady can be a bit lessened by simply drinking water, lots of it. A hydrated body is the optimal and natural condition of stability in your system. It helps eliminates toxins, lower inflammation, regulate metabolism, and enhance energy, digestion, and even your cognitive functions. In fact, you’ll notice a significant improvement in your health and vigor just by increasing your water consumption. If you think it’s too dull, guess what? So are hospitals. Recently healthy dieting is made complex by numerous kinds of diet fads, slimming products, calorie-counting apps, and the likes. Instead of encouraging people to eat healthy, it just does the opposite with all the noise and misconceptions. 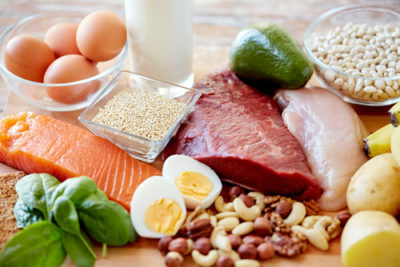 To make it easier for you, stick to this ratio instead – 40:30:30 (carbs: fats: protein). 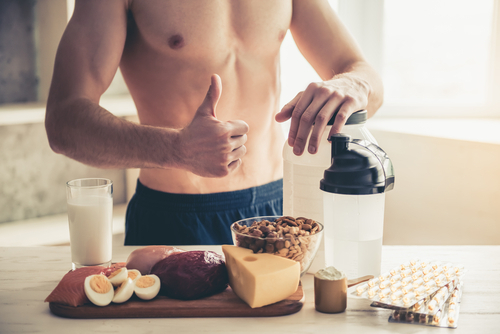 That should make sure that you have sufficient energy to last the day, assimilate all the building blocks for muscular restoration after working out, and provide the fats required for optimal hair, hormone, and skin wellness. The ratio is not for everybody, that’s for sure. Every individual has a different requirement, so you can make changes in order to meet your needs. It’s a great start nonetheless, especially if you have no idea of how to eat properly. A colorful plate means that you’re able to consume an assortment of fruits and vegetables, which fill you up with antioxidant, vitamins, and minerals. The antioxidants alone are crucial in determining how well you’ll age since they counteract the impairments caused by free radicals and oxidative stress. Greater consumption of fruits and veggies means higher intake of antioxidants, which also helps ensure your immunity’s strength and continuous proper functioning, so that you’re not easily susceptible to diseases. These are specific kinds of carbohydrates that trigger stomach discomfort for a lot of people, mostly IBS. The statistics of people suffering with IBS on a regular basis is also high. So, what are fodmap foods? They include onions, garlic, wheat, animal milks, and even apples. If you’re often suffering with IBS, this may be the reason. What you can do is lessen your consumption of such foods, and find substitutes in order to relieve your stomach of bloating and indigestion. These are foods that make the stomach swell, which the body determines as an immune response since it burns up energy to offset it, reducing your immune functions. Thus, consumption of inflammatory foods must be lessened. Often, these are dairy (except for the cultured type), processed meats, gluten, additives, trans-fats, preservatives, and refined sugars. Of course, these two are fine as long as consumed moderately. Otherwise, your liver may find it harder in the future to clean your blood when it’s already tainted with too much alcohol. Suffice to say, when you get older it won’t function as effectually as it does now.